Van Halen is an American hard rock band formed in Pasadena, California, in 1972. The founding members consisted of David Lee Roth, Eddie and Alex Van Halen on guitar and drums, and Mark Stone on Bass. Of course we can't forget multiple sightings of Sammy Hagar on lead vocals as well. Van Halen is best known for hits like "Jump", "Panama", "Runnin' With The Devil", "Jamie's Cryin'" and "Hot For Teacher". Diamond Dave and the Van Halen brothers are back along with bassist Wolfgang Van Halen, Eddie and Valerie Bertinelli's son. 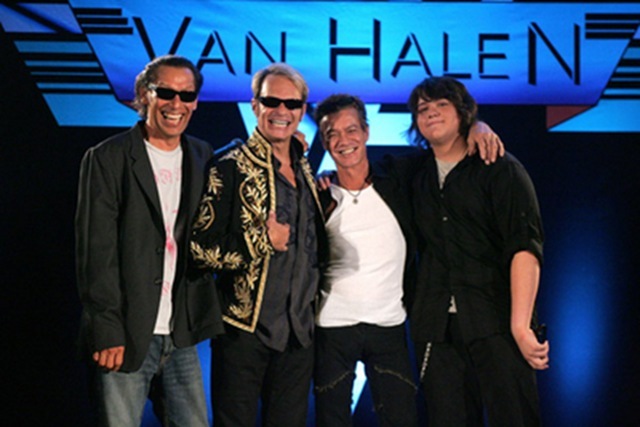 Van Halen will launch the highly-anticipated tour on Feb. 18th in Louisville, Kentucky. The tour will accompained the new album "A Different Kind Of Truth" which will hit stores Feb. 7th. This is the first new album with David Lee Roth since 1984.